For the purposes of tailgate reservations, University entities are defined as: Recognized Student Organizations, Academic Departments, and Staff Departments. These campus groups have the opportunity to reserve space in a guaranteed location on a game-by-game and/or recurring basis at no charge. 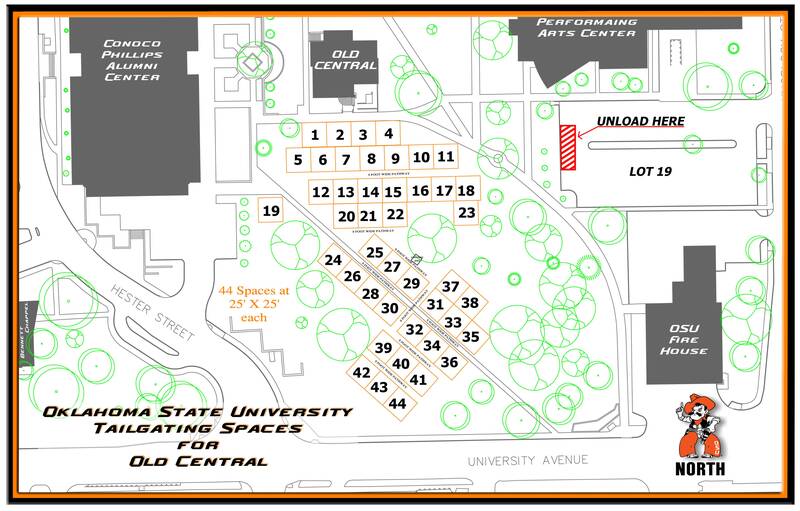 25-feet x 25-feet plats have been designated at the Old Central Lawn and International Mall Lawn and will be allocated on a first-come, first-served basis. Campus entities can request space by logging in to the Online Event Management System with a valid O-Key user account. You may also complete the Gameday Tailgate Request Form and submit to Meeting & Conference Services in 179 Student Union. 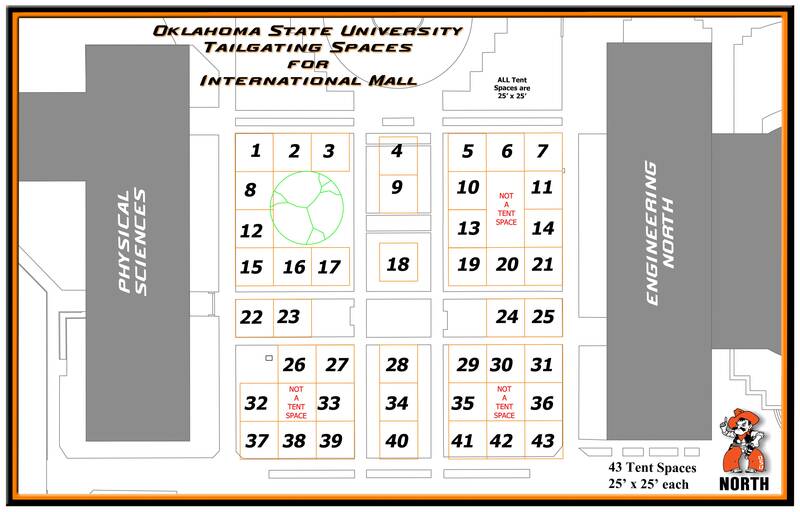 Once your request is submitted and approved, a tailgate permit will be issued via email confirmation. Any campus entity may request space; but department heads, deans, or student organization presidents should be the signature authority for his/her organization. Reserve Your Gameday Tailgate Now!